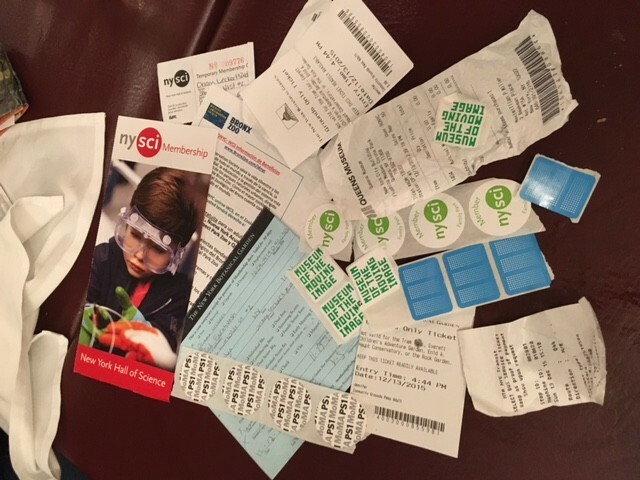 Who has an NYC ID and needs to get their free annual memberships at museums before the end of the year? Let’s go on a museum adventure ASAP! She was referring, of course, to de Blasio’s aweseome NYCID initiative—the largest municipal identification program in the nation. 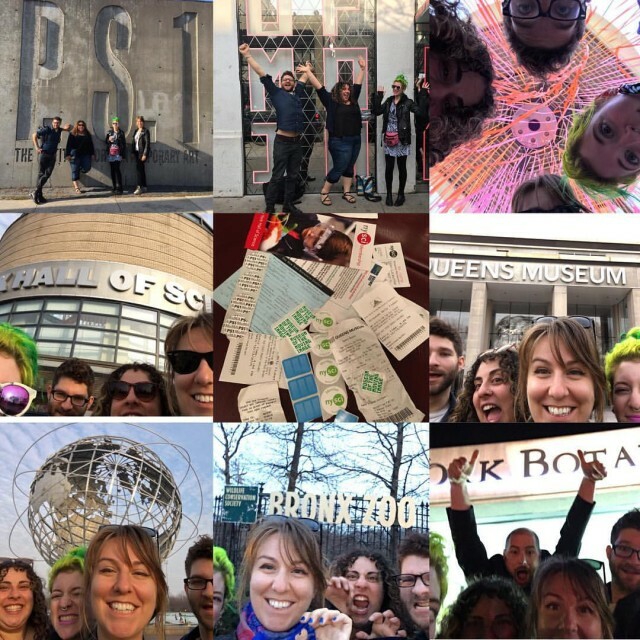 In addition to its use as a citywide ID card, the NYCID confers a whole host of perks, including free memberships at 40 major cultural institutions across the city, from BAM to the Staten Island Historical Society. The catch is that many of the perks were only available for the first year of the program, and the memberships have to be activated in person before the end of this month. Well—that was the catch when Alix, Andrea, Max, and I made this plan and took this adventure on Sunday. 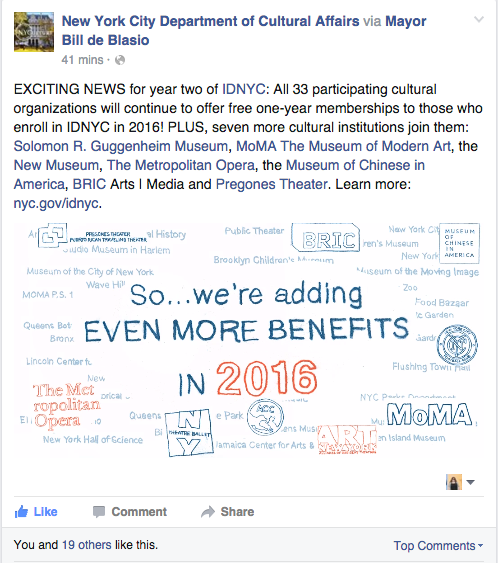 Hilariously, yesterday morning, the NYC Department of Cultural Affairs announced that the memberships would be extended into 2016, with even more institutions added. 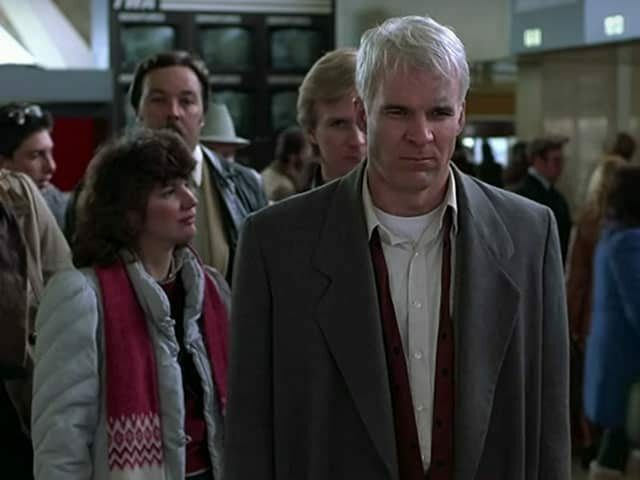 So you could say that we did this whole silly adventure for nothing. 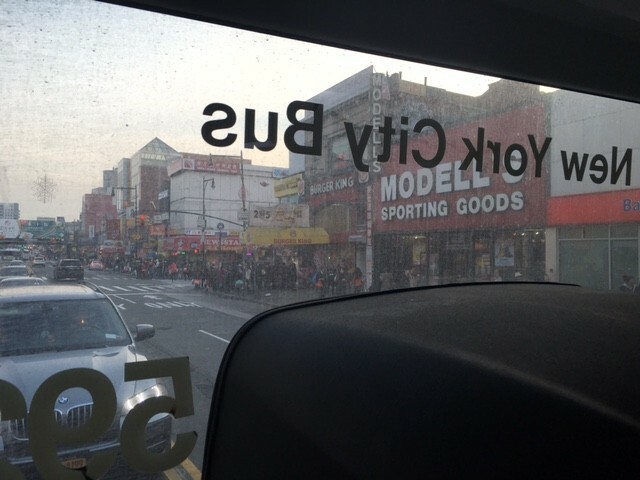 Or you could say that we got to spend a day way out in Queens and up in the Bronx, seeing big chunks of the city that most of us hadn’t spent much time in. In fact, I highly recommend you do the same thing! Grab some of your friends and your NYCIDs and make a game of it. 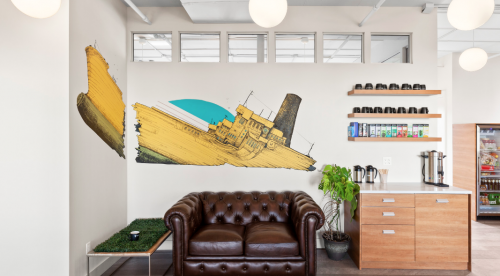 Read on for some tips and tricks for tearing through a whole bunch of outer-borough cultural institutions in a day. Max made a map of all the places we could go (click here to see it full size), and we chose the farthest ones out, which we’re all way less likely to get to in our day-to-day lives. Luckily it was a ludicrously warm spring December day, and we met at noon at PS1 and got our first memberships. Although we longed to wander through the Greater New York exhibit, this was not actually a day to experience culture, but to set ourselves up for future cultural experiences. So we dashed off toward our next stop: Museum of the Moving Image. With a snack first, of course—at Arepa Cafe. But then MoMI! 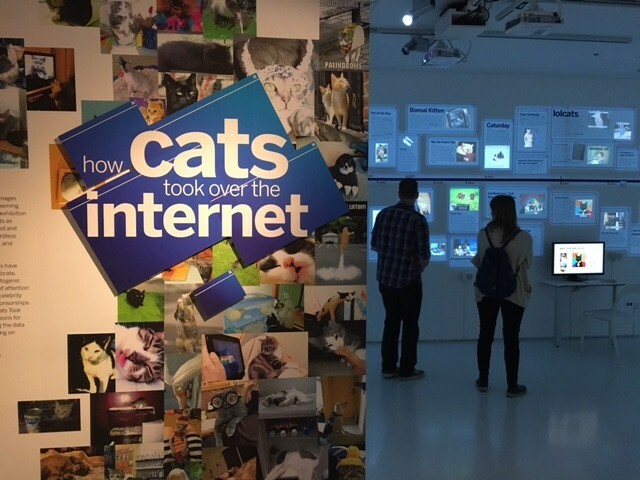 It was about a 30-minute walk from LIC to Astoria, and this time we legitimately couldn’t resist just taking a peek at one exhibit: How Cats Took Over the Internet. 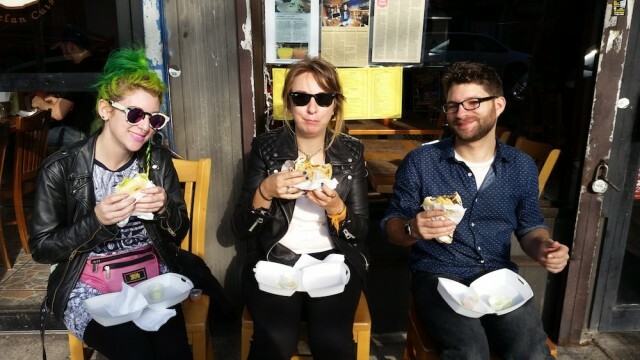 So we spent 10 minutes slack-jawed staring at cat gifs, then hustled off to the subway. At Steinway St we took the R, transferred to the 7 at Jackson Heights/Roosevelt Ave, got out at 111th St, and walked to Flushing Meadows Corona Park. We knocked off NY Hall of Science and the Queens Museum, which are more or less adjacent to one another. Then we walked the length of the park (1.4 miles!) 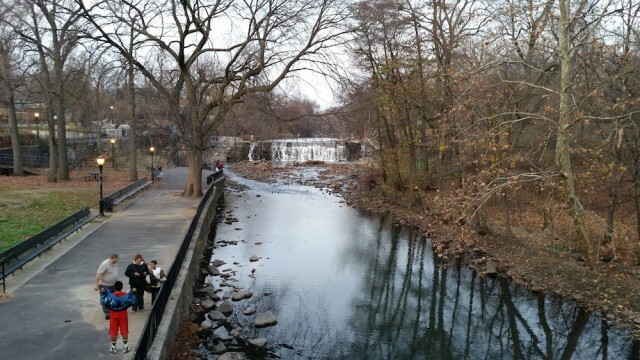 to the Queens Botanic Garden—which turned out to be closed for the winter. But admission is free from November to March, so we’re counting it. We got to the Bronx Zoo less than 30 minutes before closing. 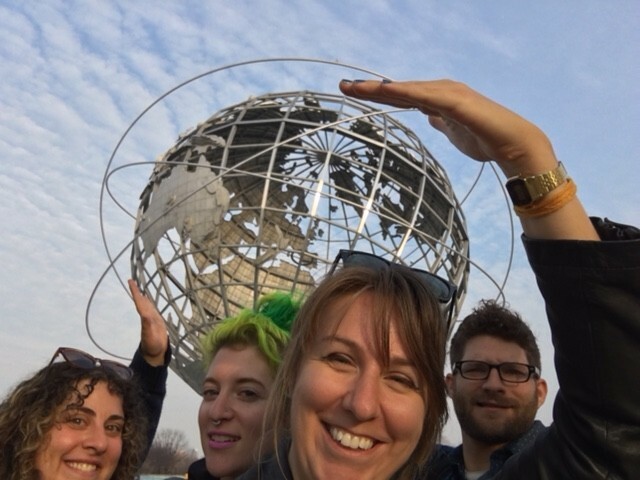 After activating our memberships (bringing the total for the day up to 10), we determined that the fastest way to the next stop—the New York Botanic Garden—was through the zoo, so we raced up and down the paths, trying to catch a few fleeting glimpses of animals on our way. 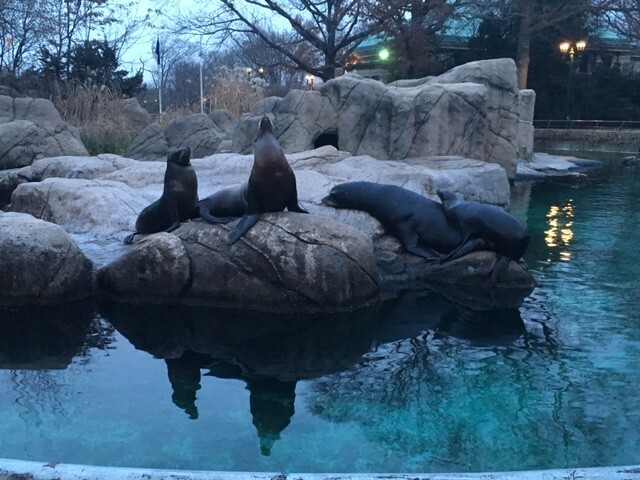 We also saw some black squirrels and peacocks running around, and the (empty) enclosures for polar bears and snow leopards, but the sea lions, in their blubbery, sleek repose, were the stars. 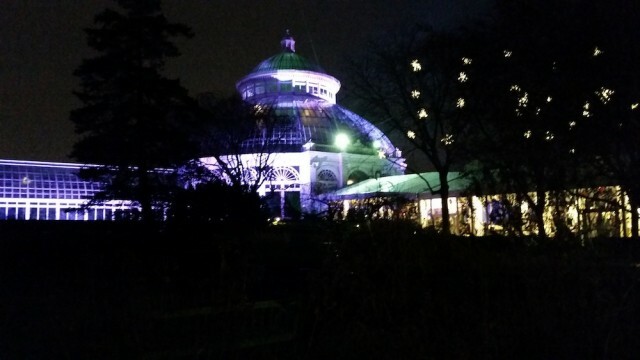 By the time we activated our Botanic Garden memberships, it was dark and a little late. We’d hoped to go from there to the Museum of the City of New York and then to the Upper West Side, but just the first leg of that would have taken nearly an hour, and we wouldn’t have made it before the museum closed. Plus we hadn’t eaten since those arepas five hours ago! We called it a day, and while we were debating where to have dinner, we ran into two more friends, Moses and Charlotte, who were on a similar quest (although they only activated two memberships that day—or six if you count all the zoos). 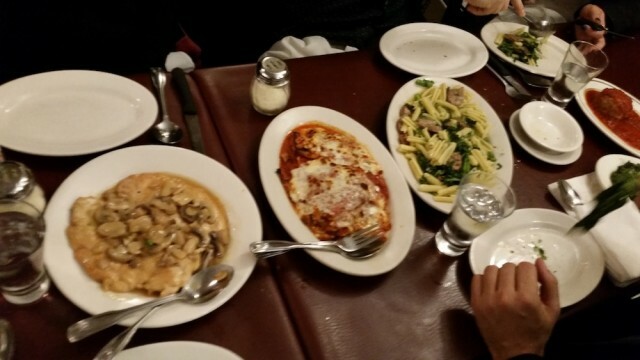 They told us the best place to eat (relatively) nearby was Dominick’s in the Bronx Little Italy. What was another mile walk? They joined us and we hied over and ordered allllll the things. And that was the end of our adventure! 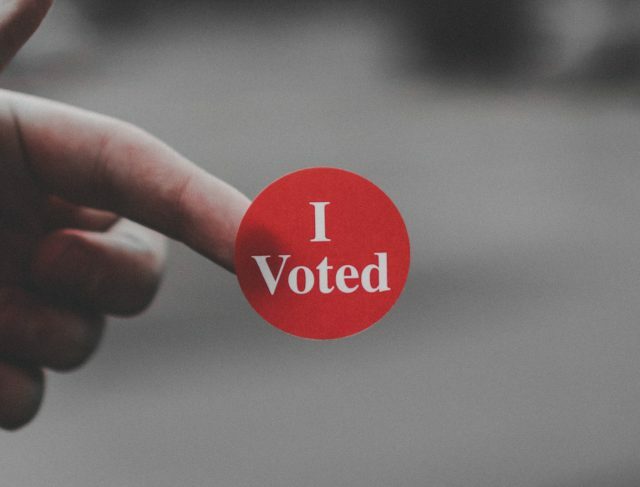 We covered two boroughs, activated 11 memberships, walked 9 miles according to Andrea’s phone, and, including getting home, rode three buses and six different subway lines. Plus, of course, we had a hilariously absurd and fun day. I’ll admit that it was a little disappointing to learn about the extension, but also pretty fabulous. Just think how many more museumarathons we could come up with over the next year! 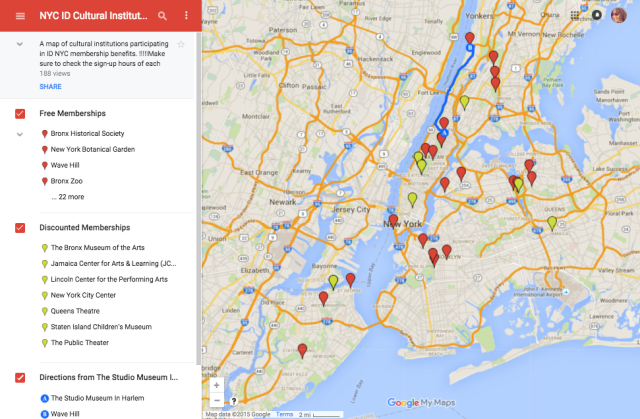 You’ve got a whole new year of cultural adventures you can go on thanks to your NYCID, so go get yours today! Well done! Similarly inspired, I went to all the zoos in one day upon getting my free membership. On foot, just to make it a real adventure. Dan, that rules! You are hereby emphatically invited on our next absurd adventure, whatever it may be. And I will join in without hesitation.